It’s only been months since Eragon first uttered “brisingr”, an ancient-language term for fire. Since then, he’s not only learnt to create magic with words – he’s been challenged to his vary core. Following the colossal battle against the Empire’s warriors on the Burning Plains, Eragon and his dragon, Saphira, have narrowly escaped with their lives. Still, there is more adventure at hand for the Rider and his dragon, as Eragon finds himself bound by a tangle of promises he may not be able to keep. First is Eragon’s oath to his cousin Roran: to help rescue Roran’s beloved from King Galbatorix’s clutches. But Eragon owes his loyalty to others, too. The Varden are in desperate need of his talents and strength – as are the elves and dwarves. When unrest claims the rebels and danger strikes from every corner, Eragon must make choices – choices that will take him across the Empire and beyond, choices that may lead to unimagined sacrifice. Being used to heroes who are largely autonomous, are respected and revered in other books, I was surprised to find that this book centres almost exclusively on the claims which the free races have on Eragon and Saphira. It grated on me that they were sometimes belittled by others, told what to do, and generally questioned on every decision they made. The book’s alternative title is “The Seven Promises of Eragon Shadeslayer and Saphira Bjartskular”, and it is a fitting one. All the races pulled the duo every which way, but along this journey they learnt the key to destroying the King, so it was all worthwhile. This book goes deeper into magic, and its origins and uses, and I was enthralled every time magic was used in the story. My favourite scene in the book involves swords and magic, and it was so great I went back and read it again. I think readers finally gain an understanding of the mythology and magic system of this world in Brisingr, after two books where huge secrets are hinted at. The revelation of how Galbatorix keeps getting stronger is a powerful one – I was literally breathless when it was revealed. Eragon and Saphira are forced to operate individually in this book, and there is even a chapter written from her point of view. 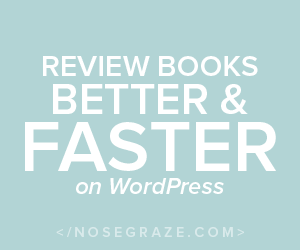 Paolini does a wonderful job of writing as a dragon – the chapter is unique and thrilling and humorous, just like Saphira. Being alone is a great learning experience for the two of the, and Eragon and Saphira come our stronger as a result. As usual, the relationship between them is my favourite part of the book – it is so rich and complex, and yet unquestioned – just like real love between family. 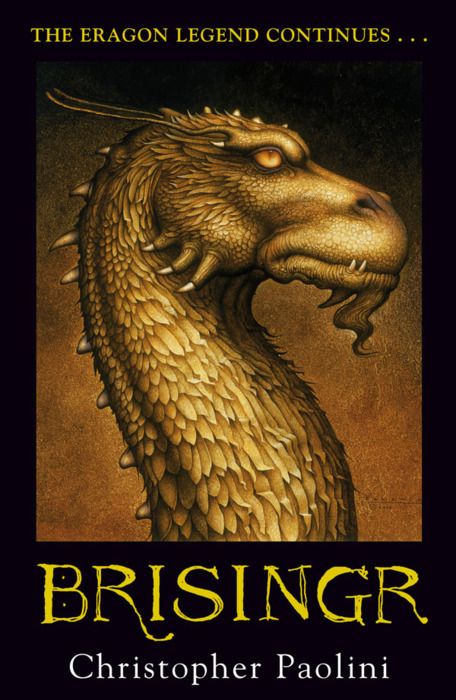 Another wonderful book in one of my favourite fantasy series’ of all time, Brisingr is a wonderful continuation of The Inheritance Cycle. It is a great set up for the fourth and final book of the series, Inheritance.